The Los Angeles county medical examiner has finally revealed what caused Whitney Houston’s death. Did she die from her years of drug abuse? Sadly, it seems like that’s the case. The “I Will Always Love You” singer was found in the bathtub of her Beverly Hills Hilton hotel room before Clive Davis’ pre-Grammy party. Her sister, Pat Houston, recalled seeing the iconic singer just minutes after she died. “Mary’s at the door and she’s screaming, ‘Oh my God!’ I told her to calm down without even seeing anything. When I got into the room, I saw Gary trying to revive her to the point of exhaustion,” Pat told Oprah in her first interview after the death of her sister. She also denied that her death had anything to do with drugs. “High? Absolutely not… Leading up to it [her death] I would say no,” she said. Sadly, it looks like Houston never quite kicked her drug habit after years of admitted drug use. The Bodyguard star openly talked about her addiction during a 2009 interview with the queen of talk. It’s so sad, but not surprising, that Houston died as she lived — and hopefully daughter Bobbi Kristina Brown won’t go down the same path. The 19-year-old has already been in rehab for substance abuse problems, but takes comfort in the memory of her mother. “I’ve got to carry on her legacy,” she told Oprah. 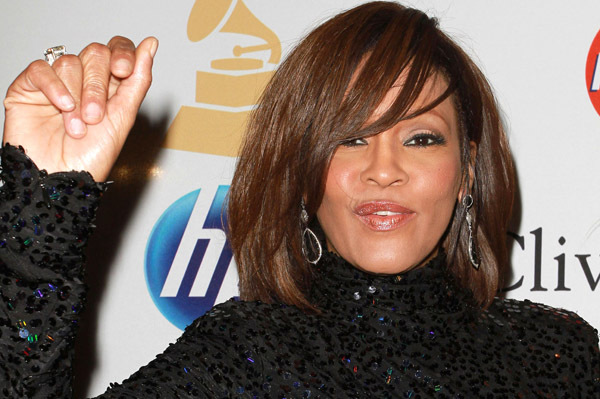 Are you surprised about Whitney Houston’s cause of death?